Mobile Age Final Conference: only a few days left! Local governments are more and more using open data to provide public services to their citizens. However, they lack tools on how to involve citizens, especially older citizens, in the design, planning, implementation and evaluation of these initiatives in order to make them address citizens’ needs and expectations in their daily life. 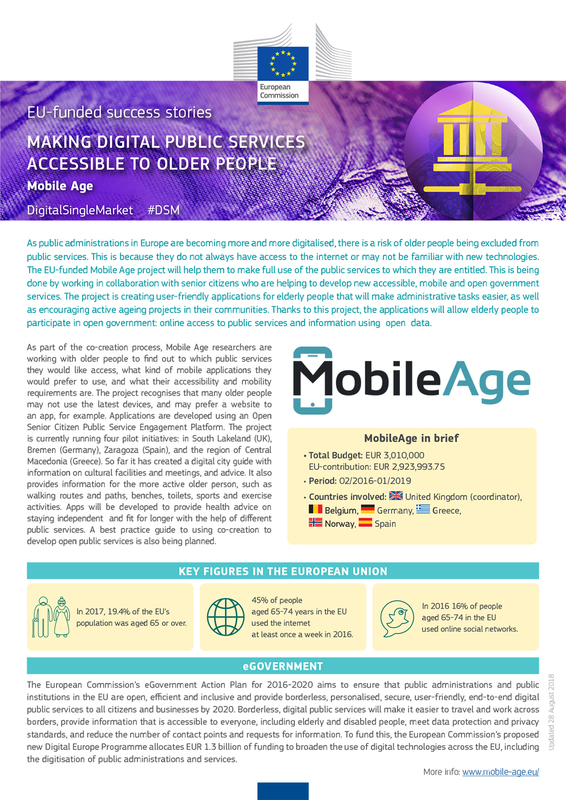 Mobile Age project featured in the EU newsletter eHealth, Wellbeing and Ageing Newsletter Issue, September 2018 under the Research and Innovation news section. Quality of life is influenced by the physical and social characteristics of people’s direct surroundings. Eurofound recent exploratory paper presents an illustrated framework, defining aspects of the local area which contribute to quality of life, applicable all across the EU. The Common Dissemination Booster (CDB) is a brand-new service from the European Commission which is free of charge and available to all, ongoing or closed, European, National, Regional funded Research & Innovation (R&I) projects (H2020, FP7 or other). Zaragoza City Council participated in the Digital Assembly 2018, the European Digital Assembly, which has been held in Sofia (Bulgaria) on 25 and 26 June 2018. 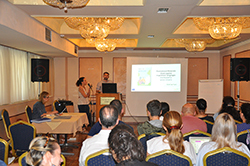 The event was co-organised by the European Commission and the Bulgarian Presidency of the Council of the European Union.